Registration of board members, volunteers and sponsors for tracking purposes. Winner of Free Registration Drawing! Winners of drawings at Omaha area networking events. 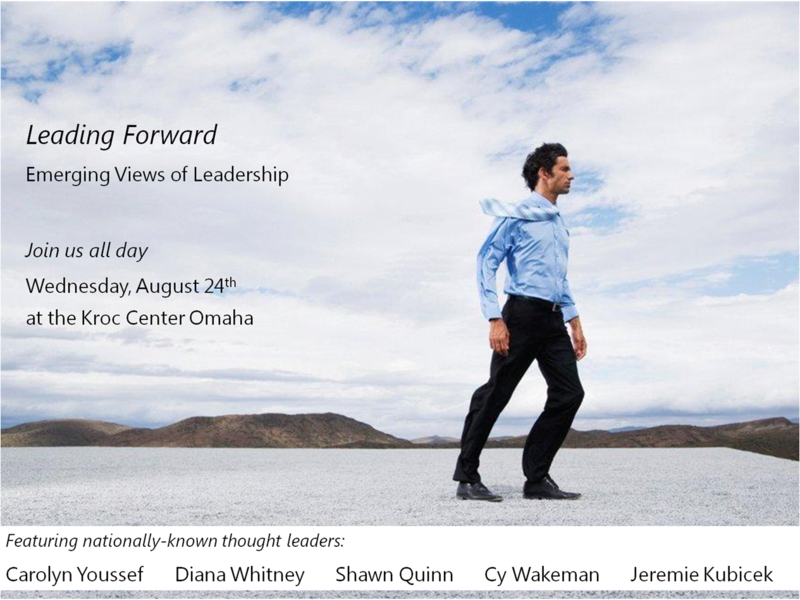 Join us August 24th for Leading Forward: Emerging Views of Leadership, a dynamic conference featuring thought leaders Carolyn Youssef, Diana Whitney, Shawn Quinn, Cy Wakeman & Jeremie Kubicek. The day has been built to interest and inform business executives, entrepreneurs, managers, communicators, OD practitioners, HR professionals, trainers, coaches, and leaders from all industries. *To register multiple attendees on the same credit card, add "guests" to the primary registrant for a single payment. PayPal will not allow individual registrations with the same credit card. If you would prefer to pay by check, please contact treasurer@omahaodn.org for instructions.